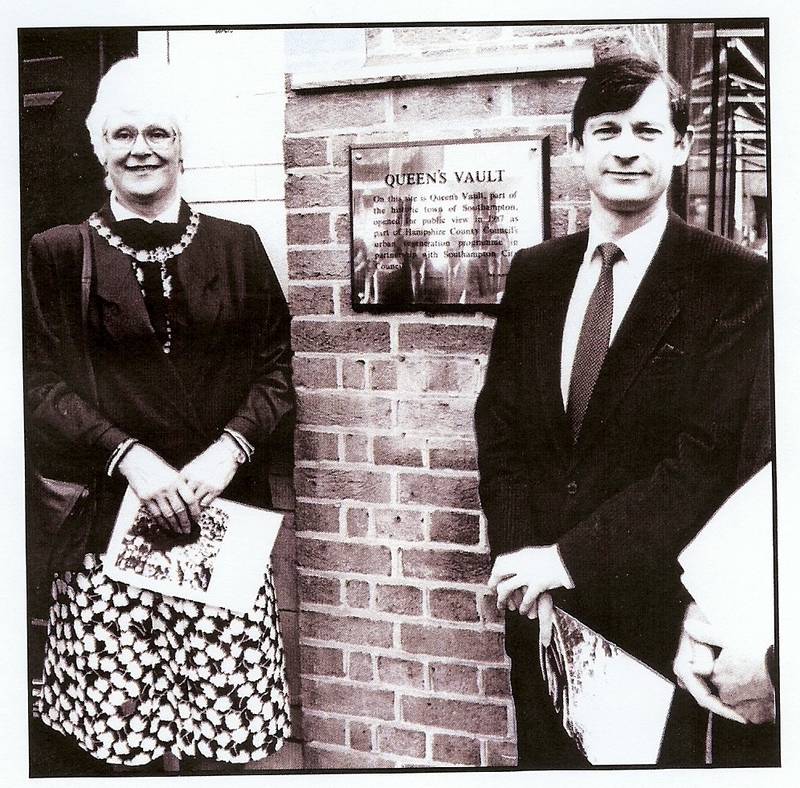 The late Councillor Michael Andrews & Irene Candy pictured outside the Plaque near the Queens Vault, opposite Holy Rood Church, High Street, Southampton.Sadly, the plaque stolen. like many others in our City, which commemorated the services of people to our City. Former Sheriff & Mayor 729th- 1952 Minnie Cutler -Peartree Green. Itchen Ferry-1990-stolen 2008. Surely it is time the fixing methods are more secure & Council Security procedures tightened up, indeed necessary replacements arranged, too?.